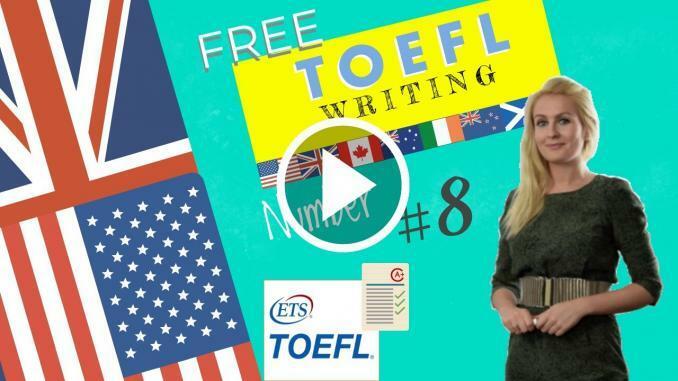 Today’s TOEFL writing contains another example of a TOEFL Writing structure with some exam tips. Let’s practise synthesising and summarising what you have read! Freelance writing, which entails writing an essay of four to five paragraph of 300-350 words in 30 minutes. Brainstorm and outline your essay before starting to write. Develop any topic into a well organized, logical answer. Use synonyms to paraphrase the question never repeat word for word. Use a variety of sentence structures and grammatical forms. Write body paragraphs which flow logically within a predetermined structure. Try to write an essay every day. Practice makes perfect. There is no doubt that life is challenging. It becomes obvious from an early age that in order to achieve something it is necessary to things that are demanding, boring or even unpleasant. So In order to be happy and successful, we need to prepare ourselves to pay the price. To have a better life in the long run it is often necessary to bite the bullet in the short term. This approach to life applies to personal, social and financial experiences. Personally, I think that doing things we find difficult or arduous are character building and helps us develop as human beings. Look at homework, it is far more fun to go out with your friends than stay at home reading. However if we look at it as giving up pleasure for a short time was the price to pay to get more pleasure over a long period, it seems logical. Usually better educated people earn more money than those without qualifications. Eating the right food is another good example of doing things one doesn’t like for the greater good. If we make an effort to eat food that are healthy rather than tasty we are looking at the greater good, that is lifelong good health. Making an effort to socialise if this does not come naturally is important. Learning social graces and how to fit in is so important if you do not want to be lonely later on in life. So being tolerant, which is not always easy is important if you wish to flourish in society. Many people subscribe to to the saying that life is who you know, but in order to find some people you connect with it is necessary to meet people that you find difficult. In conclusion, so if you want to be satisfied in life you have to make an effort or do things that are not always the most pleasurable of the options that are open to you. It is all about reaping a greater reward later in exchange for doing something less pleasurable in the short term.